One of the great mysteries in the smartphone world is why Apple keeps producing the best camera phone despite not having the highest specs. 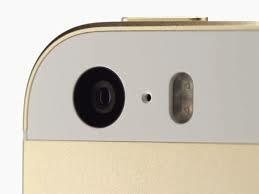 Even the much touted Lumia 1025 loses to the iPhone 5s in most situations. That, despite the fact that the Lumia is little more than a 41 megapixel camera trick with a phone attached. The Apple shooter is a humble, 8MP sensor. The glass is by Sony. It is a small piece of glass in a very thin frame. Every high-end camera phone should be better. None are. Why? Ironically, the company that supplies Apples glass also produces the camera phone that comes in last place. Clearly, there is a lot more to producing a great picture than glass. Apple seems to know more about optics than most optometrists. They do with software what optics, alone, cannot. That monstrous 64-bit, A7 processor is also doing a lot for for iPhone 5s photography. Apple's real secure, though, is that they, better than their competition, know exactly how real people use camera phones. The competition knows about the hardware required to produce good pictures. But the best DSLR in the world produces bad pictures in the hands of an amateur. The Nokia phone wants you to use something called Pro Camera to get the most out of your pictures. That is not how humans operate. Shot for shot, situation for situation, raw frames straight from the phone, the iPhone 5s produces the best photos as real humans take photos. Competitors are focused on technology. Apple is focused on humanity. Humanity wins.